Edible Flowers - Garden Exchange - Lavender Jelly and Pansy Butter - Canning Homemade! Today I had a challenge by my two friends, Mardena & Shelly, to bring something to the garden exchange made from edible flowers. The theme of the garden exchange was blossoms. I did a bit of research before I started this process since I didn't want to poison anyone at the exchange. I have been interested in using lavender, jasmine and other types of flowery plants in jams and jellies. Rose - Tastes like: sweet, aromatic flavor, stronger fragrance produces a stronger flavor. Be sure to remove the bitter white portion of the petals. Dandelion - Tastes like: very young buds fried in butter taste similar to mushrooms. Makes a potent wine. There are several others as well. I decided to use two of the recipes that they had provided for me and add my own spin on them. Lavender Chardonnay Jelly and Pansy Butter. Cut a bundle of lavender from your plant. When you cut each blossom, be sure to leave a few inches of green growth on the plant. Going down to the woody portion of the stem is too extreme. When you have enough blossoms to fill your hand, wrap a rubber band around the bottom of the bundle, straighten a paperclip and use it as a hook to hang the lavender bundle upside down in a dry, dark place. 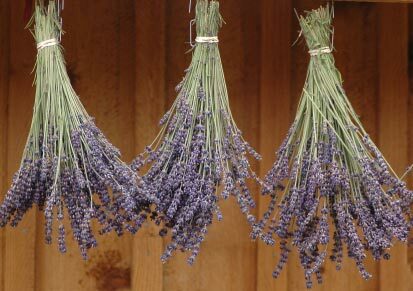 The darkness helps the lavender retain its color, and drying it upside down helps lavender retain its blossom shape. Let the lavender dry for about a week until there is no moisture remaining on the stems in the center of the bundle. In a large saucepan over high heat bring water just to a boil. Remove from heat, stir in dried lavender flowers, and let steep for 20 minutes. After 20 minutes, strain mixture into a small dutch oven or pot, discarding the lavender flowers. Stir in sugar and wine; continue stirring until the sugar is dissolved. In a spoon drop the two colors and slowly swirl into the jelly. Over high heat, bring the mixture to a boil; add pectin. When the jelly solution returns to a hard rolling boil, let it boil for 2 to 4 minutes, stirring constantly. Test for gel point using the plate or spoon method. 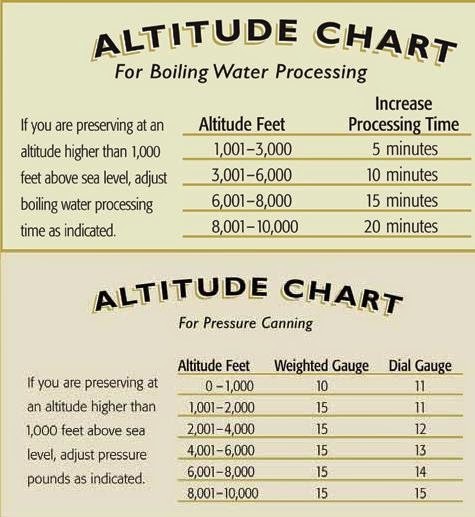 For more information on these methods click here. After boiling, transfer the jelly into hot sterilized jars. Fill them to within 1/4 headspace and process in hot water bath for 10 minutes. Make three 1/2 pints. Cut with scissors the pansy petals. In the bottom of a small bowl or ramekin line with wax paper. Choose the prettiest pieces and lay them upside down on the bottom. Fold the remaining pieces into softened butter. Gently spoon then spread the butter to fill the bowl. Cover with plastic and put butter in the refrigerator. When you are ready to serve invert the butter, remove the wax paper and serve on a pretty plate.